Creating an interactive drama requires authors to produce large quantities of story content. A programmer or knowledge expert typically creates this content because they have experience with the story environment. By using an authoring tool someone with less experience with the story environment can organize and create story content. The Scribe Authoring Tool is an authoring tool that will be used to create interactive dramas. 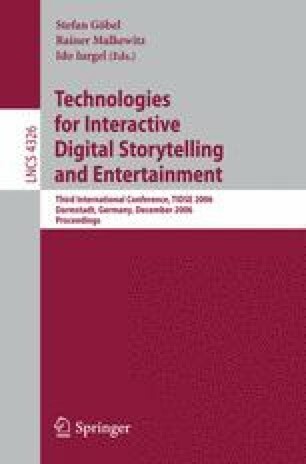 The tool will follow certain requirements to make it relevant to any story environment and will be usable enough for someone not familiar with the environment to author story content for interactive dramas.